The posters will be dis­played to the pub­lic and avail­able for sale at the Zirkum­flex space in Ber­lin, from July 8 until Septem­ber 8, 2011. 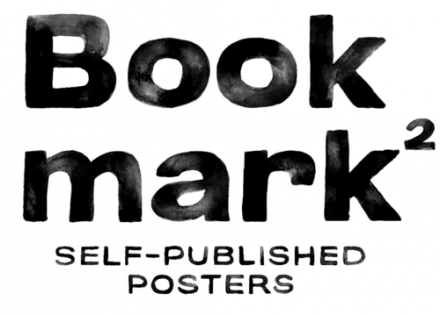 Book­Mark², Self-pub­lished Posters throws an unchar­ac­ter­ist­ic light on poster art through the point of view of crit­ics; of authors and design­ers invited to dis­cuss the sub­ject. The Book­mark² Exhib­i­tion will also present prin­ted objects, and host events related to inde­pend­ent pub­lish­ing. The posters must be sub­mit­ted by e-mail at submission@​zirkumflex.​com before the 22th of June 2011at mid­night. A jury makes an selec­tion for the show and informs the par­ti­cipants by e-mail on the 24th of June 2011. The par­ti­cipants will have to send their ori­gin­al edi­tions by mail before the 1st of July 2011.